Best of both worlds - lake and golf course living! 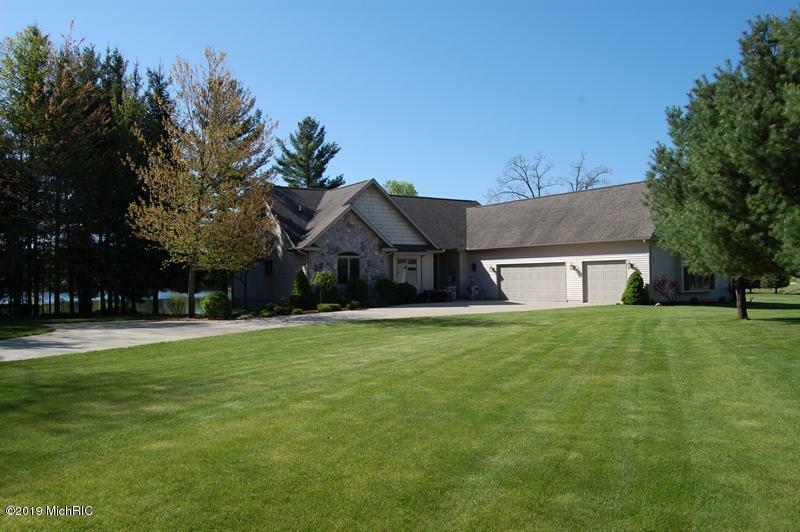 This home sits on waterfront, on Lake Laura in Canadian Lakes and the 10th hole green of the Royal Golf Course. Beautiful ranch home with 2400 main floor sf, 3 bedrooms and 3 full baths. Finished lower level walkout with beautiful view of the lake. Built-in office space in lower level, additional bedroom space and plenty of storage. One of a kind property - custom built home with a gourmet kitchen. Cherry cabinets, Wolf gas cook top, built-in oven, granite island work center, built-in desk area, stainless steel appliances. Beautiful all-season room off the kitchen spills out onto the new composite deck. Three car garage. Private setting at the end of a cul-de-sac.